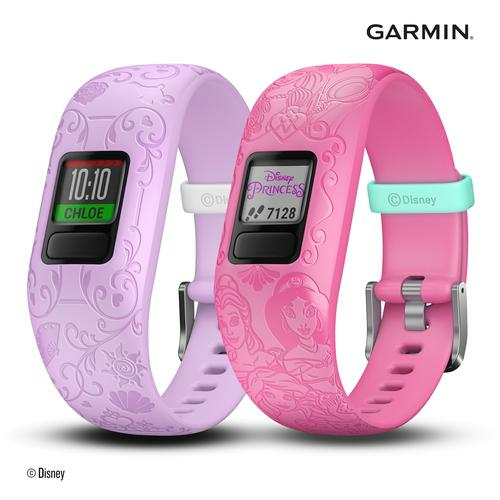 Garmin has announced the Vivofit Jr. 2 kid’s fitness trackers with Disney Princess-themed bands and mobile app. “We are excited to once again bring the Disney magic to our wearables lineup with these new Princess-inspired fitness trackers,” said Adam Howarth, General Manager Garmin Australasia. With two Princess-inspired design options, Vivofit Jr. 2 bands are swim friendly, feature a customisable colour screen and boasts a battery life of over a year, according to Garmin. “Based on the initial success we’ve seen with Star Wars, Minnie Mouse, and Marvel Avengers on the Vivofit Jr. 2, we know that pairing Disney’s unrivalled characters and content with Garmin wearables encourages kids to get active,” said Kyle Laughlin, Senior Vice President, Games and Interactive Experiences, Disney Parks, Experiences and Consumer Products. Read more Which sports smartwatch will actually help you live a healthier lifestyle? From their compatible smart device, parents can view their child’s activity, assign chores, and schedule reminder alerts that show up on their child’s device. For added incentive, when kids receive and complete a given chore, parents can reward them with virtual coins that can be redeemed for agreed-upon rewards. The Vivofit Jr. 2 featuring Disney Princess will be available for purchase from JB Hi Fi, Rebel, Harvey Norman, garmin.com.au and other leading retailers for $129. For more information, visit www.garmin.com.